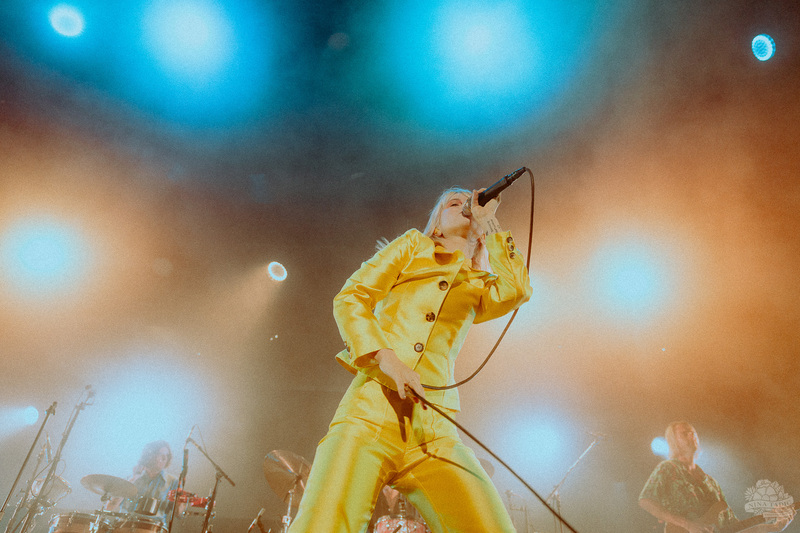 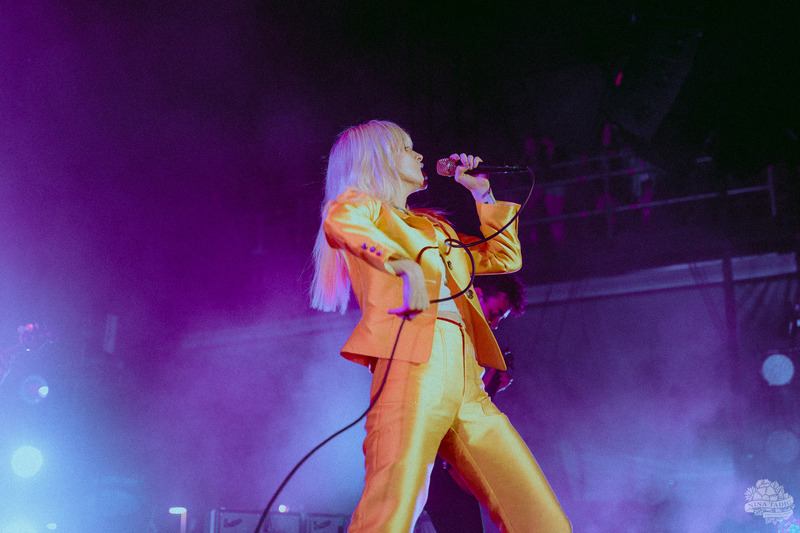 Paramore is a band that has been around the block a handful of times, and the tour they’ve put together shows that for sure. 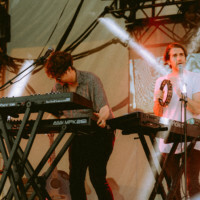 Openers Jay Som and Foster the People brought their own energy to the stage and kept things mellow and relaxing for the crowd, holding their attention until Paramore’s set began. 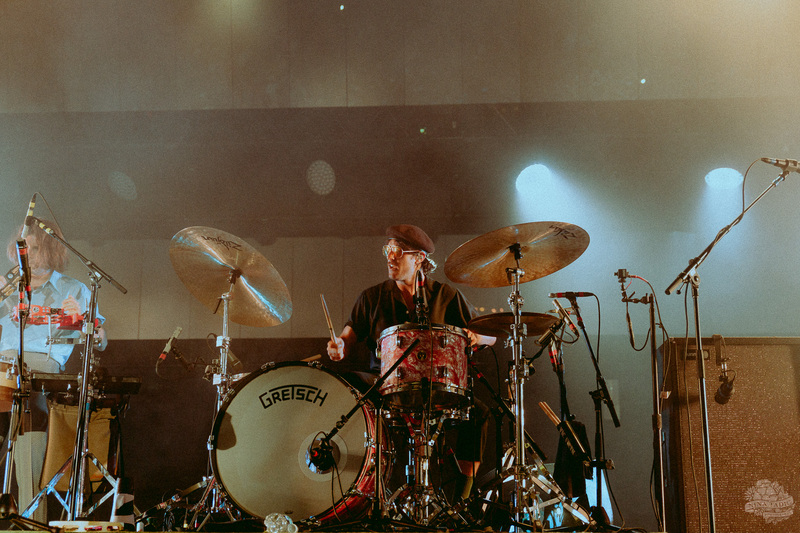 Jay Som performed some shoegazey, noise pop songs, and was a good starter for the night. 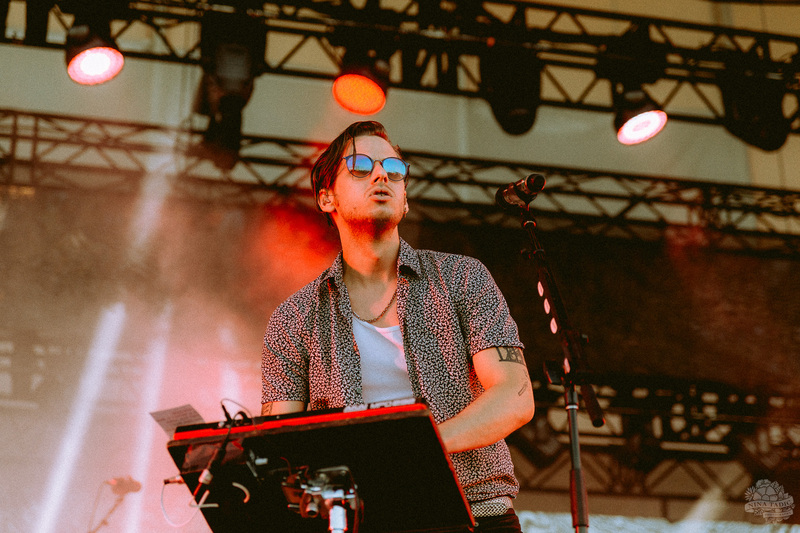 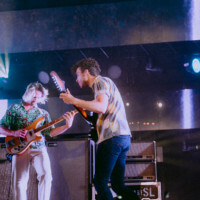 Follow up a set like that with Foster the People performing some funky, cool tunes and fan favorites like “Pumped Up Kicks” and “Sit Next To Me,” and it’s bound to be a party. 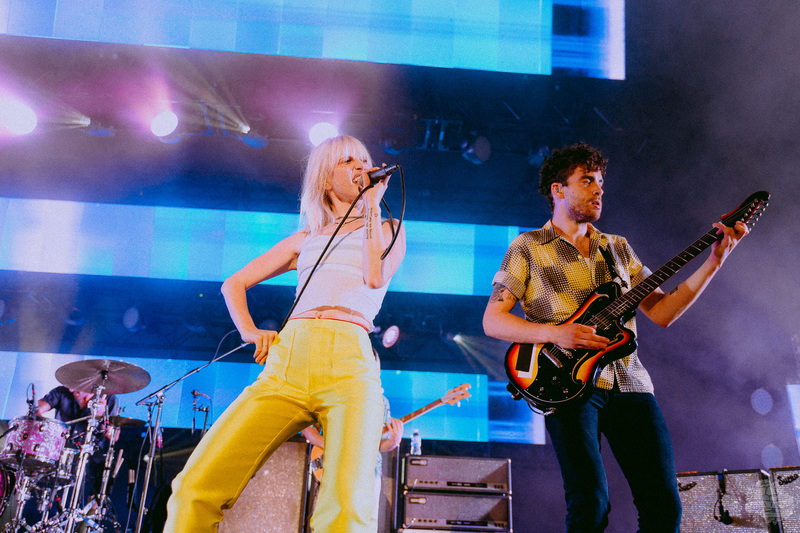 But all of that pales in comparison to the world that Paramore opens up for their performance. 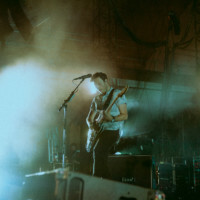 The lights go black, the amphitheatre is just past twilight, and suddenly everyone in the crowd can make out figures moving across the stage. 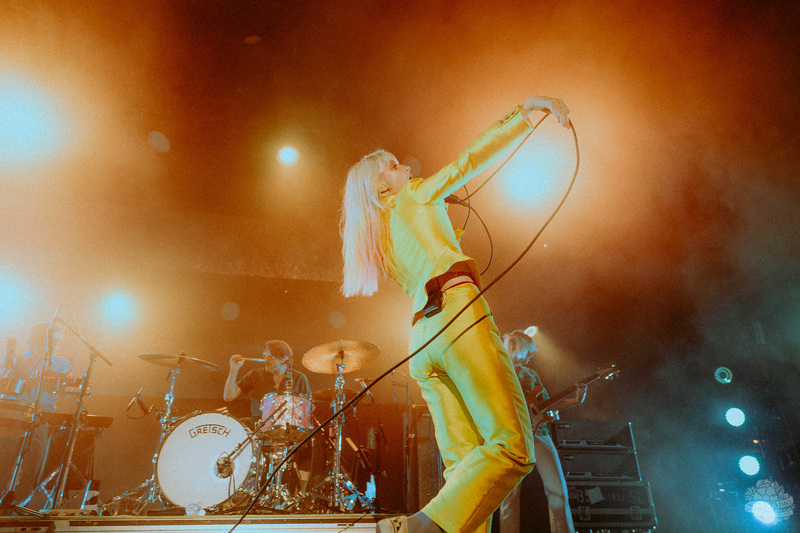 Screams and cheers fill the venue, and Paramore begins their set. 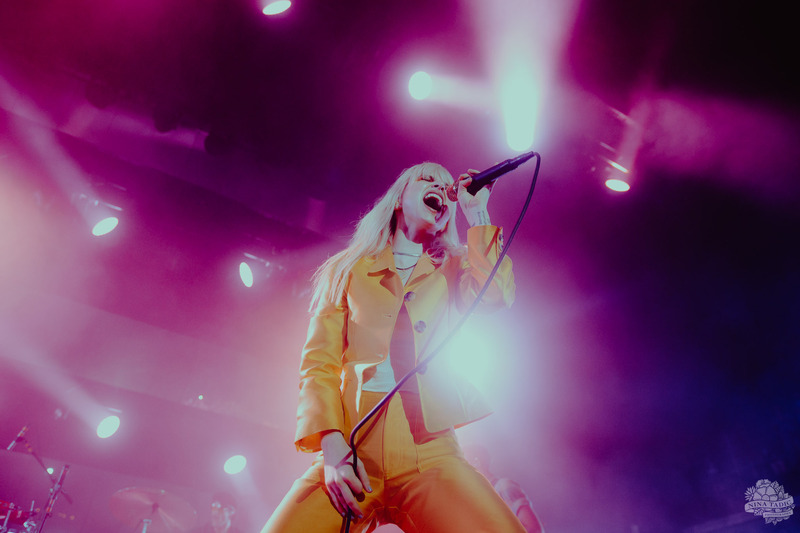 The entire audience is pulled from the real world, and gets to live in the funky and punky Paramore world for two wonderful hours. 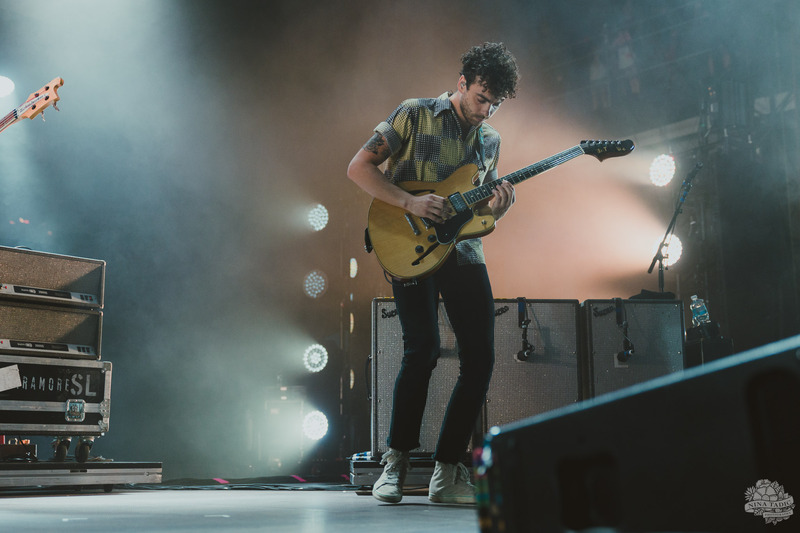 In Chicago, the Huntington Bank Pavilion might have been holding thousands, but it never felt so intimate and closed-off from the world. 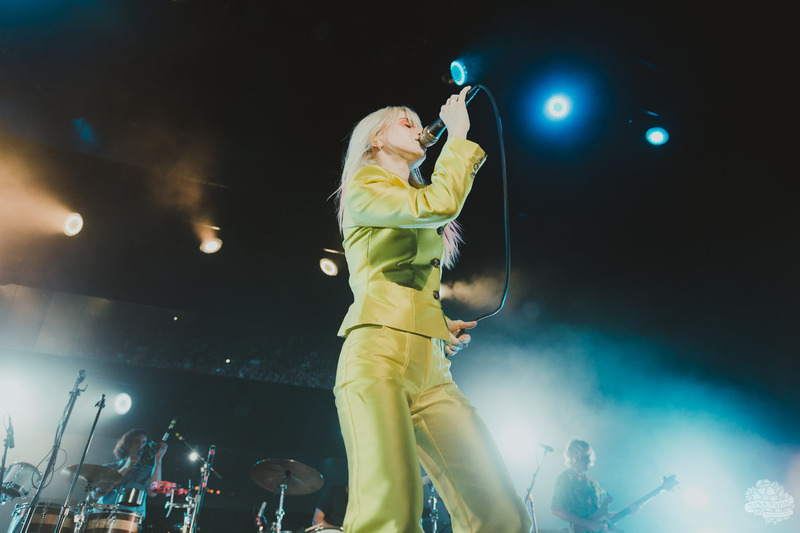 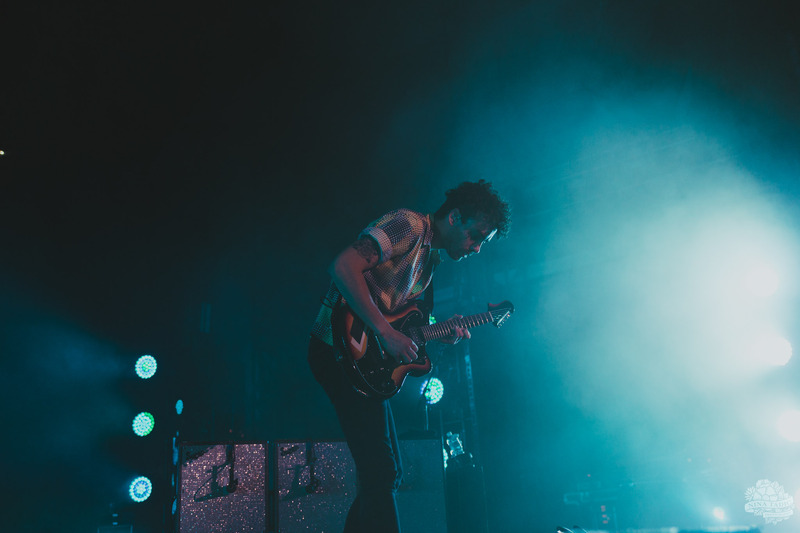 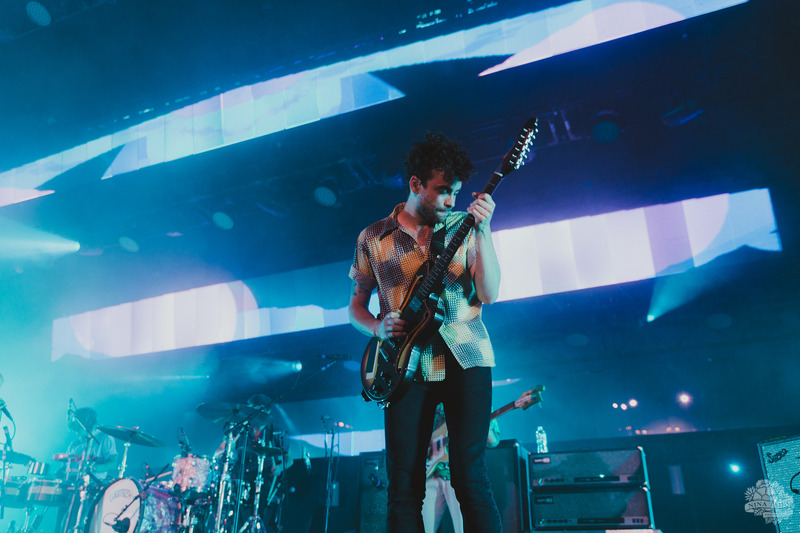 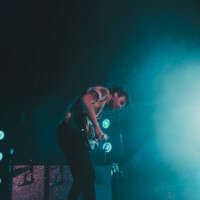 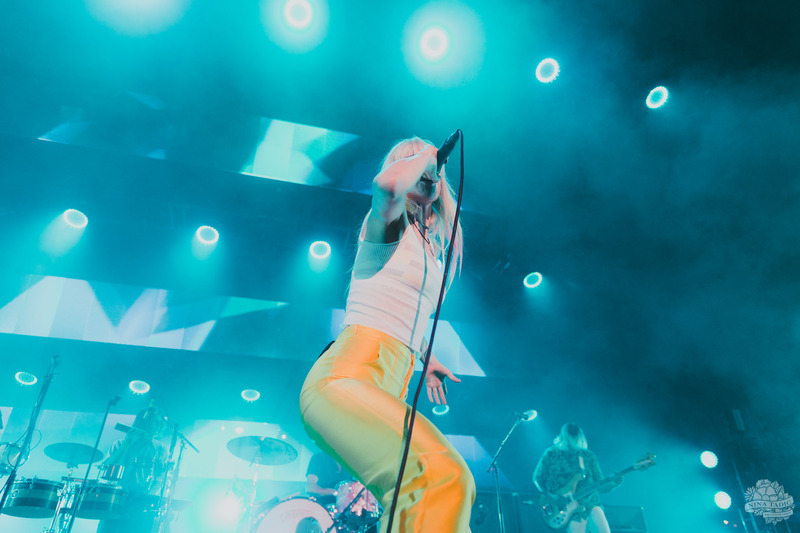 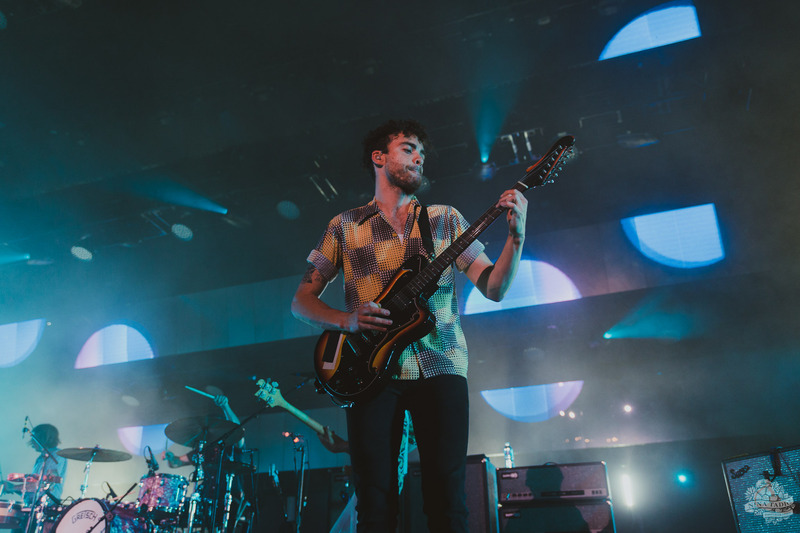 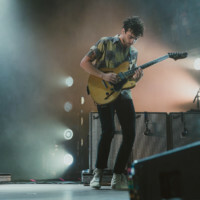 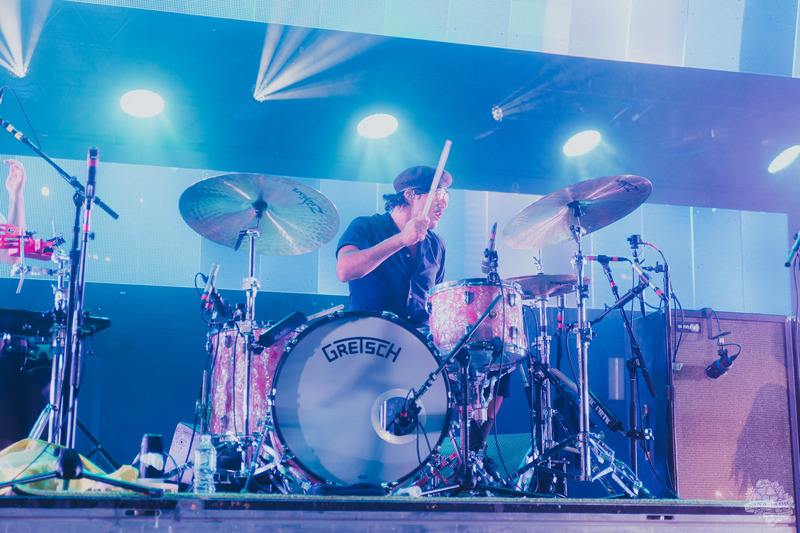 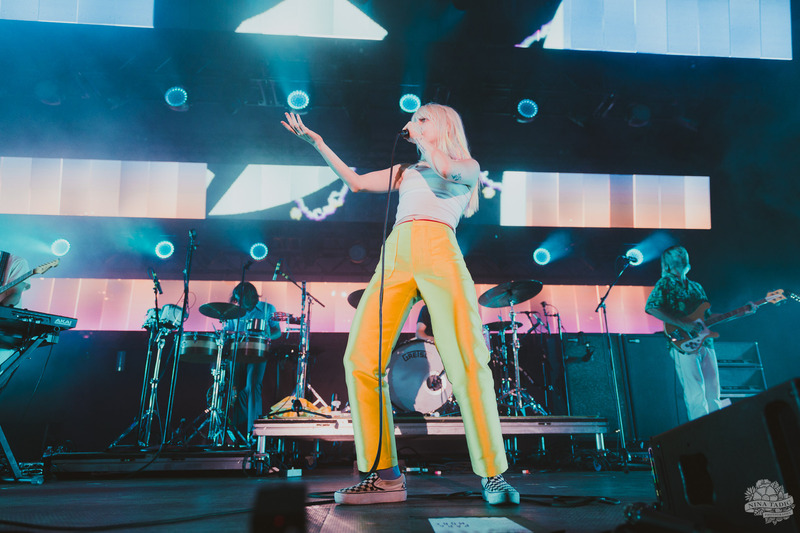 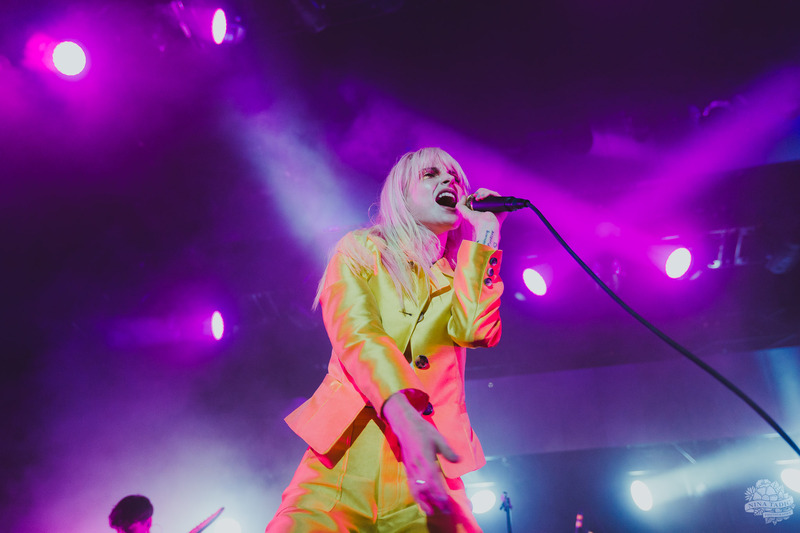 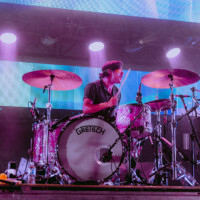 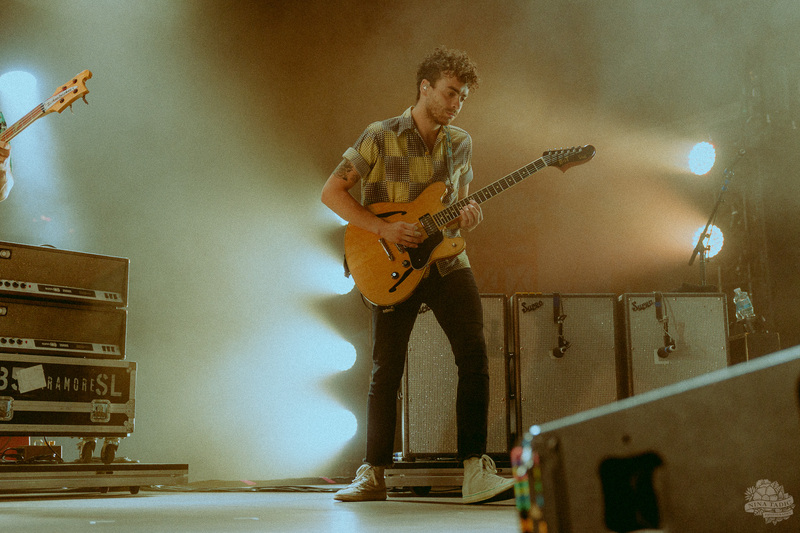 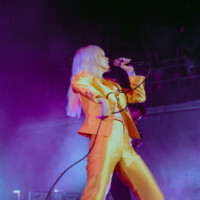 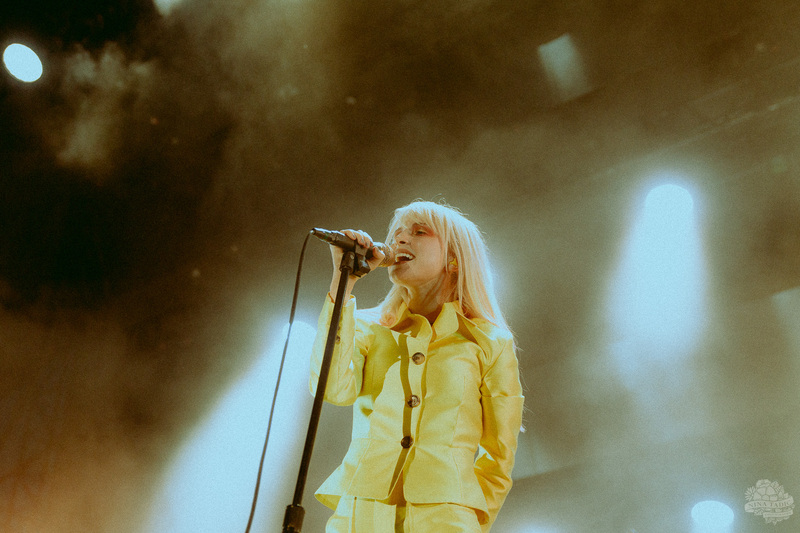 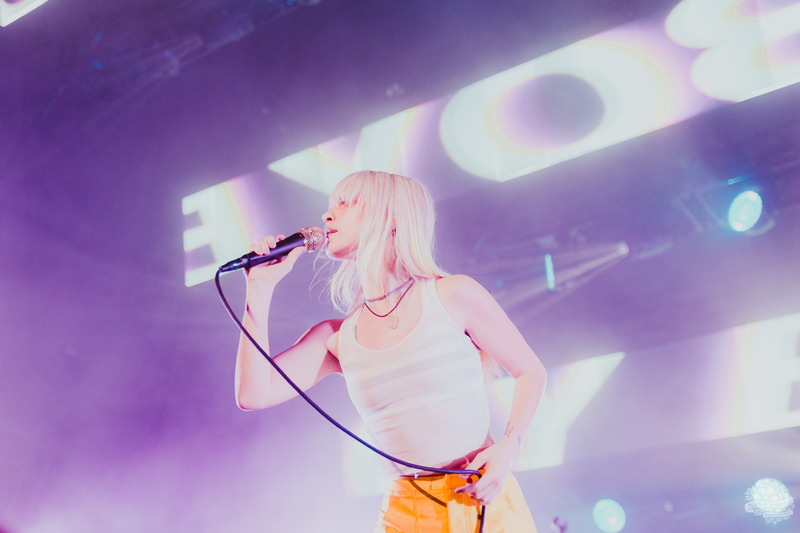 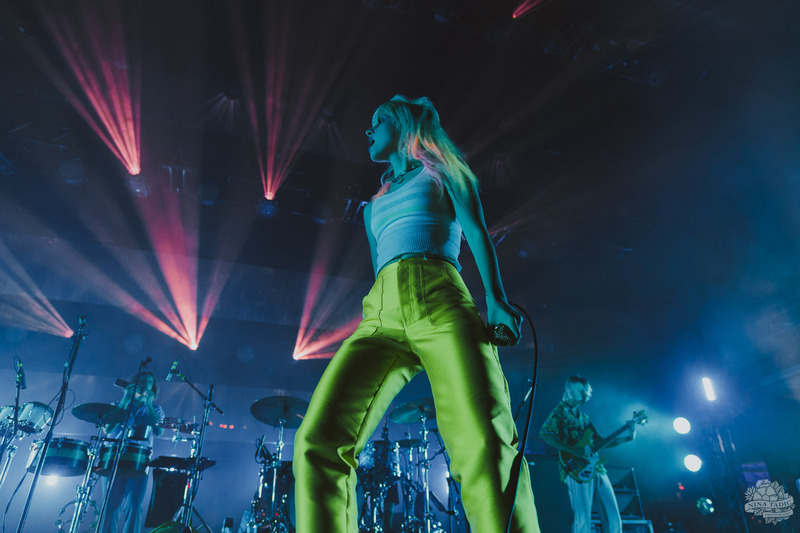 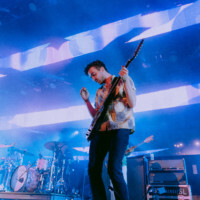 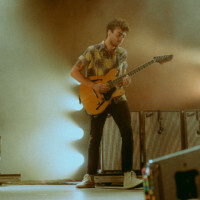 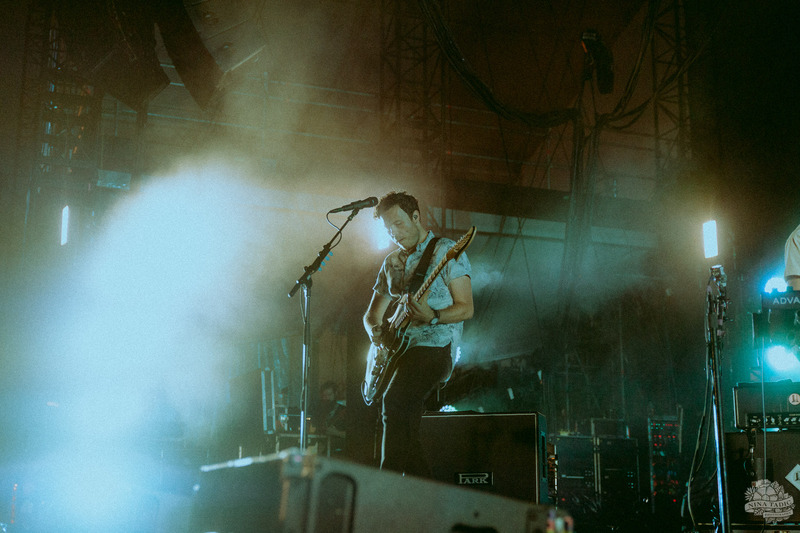 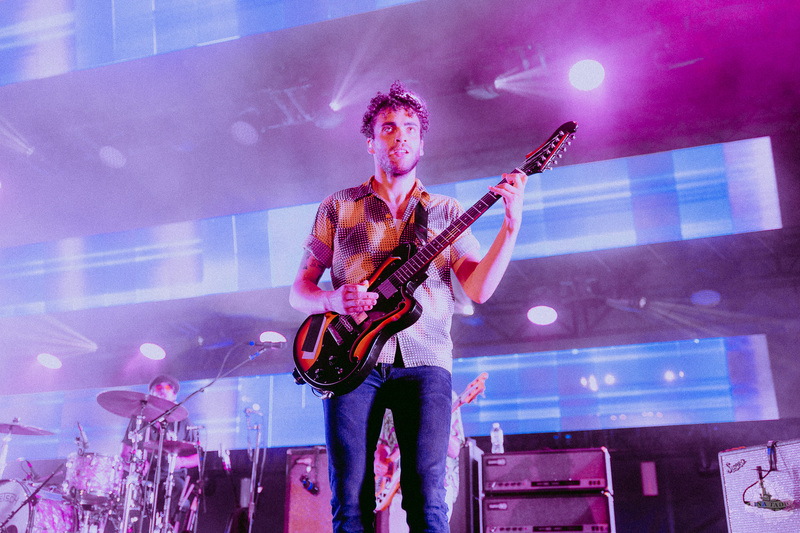 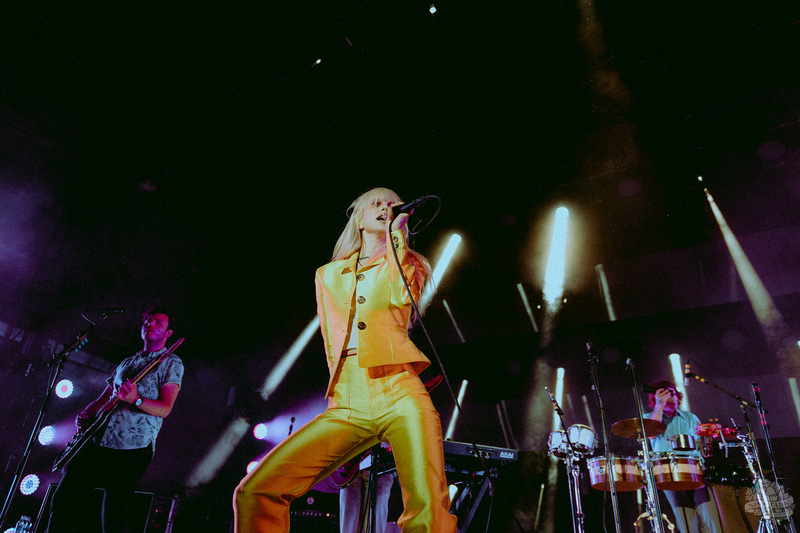 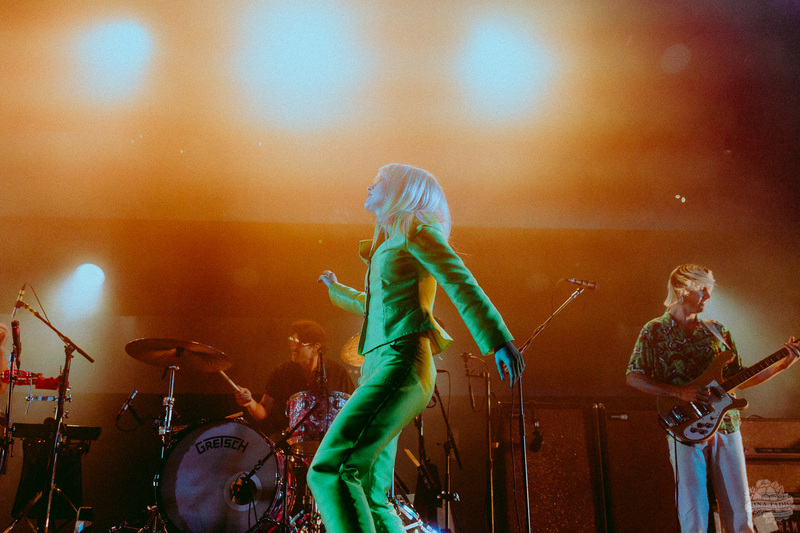 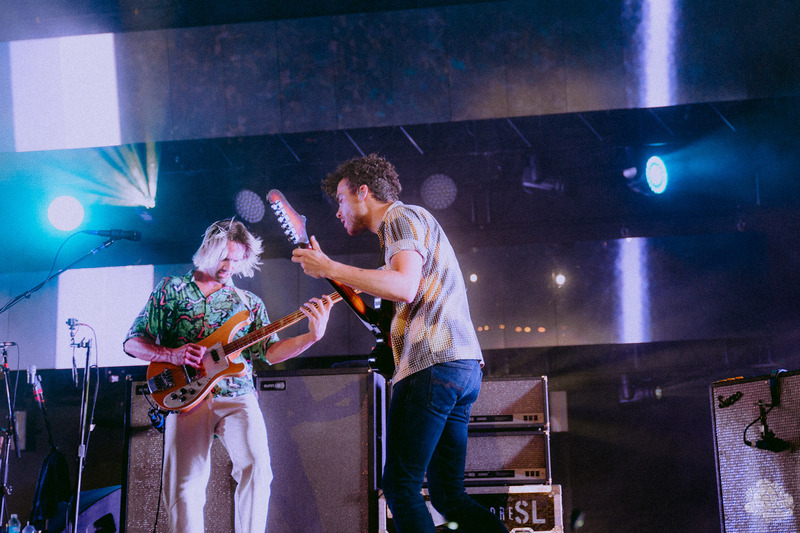 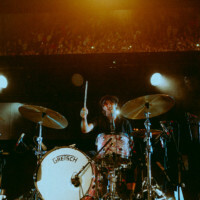 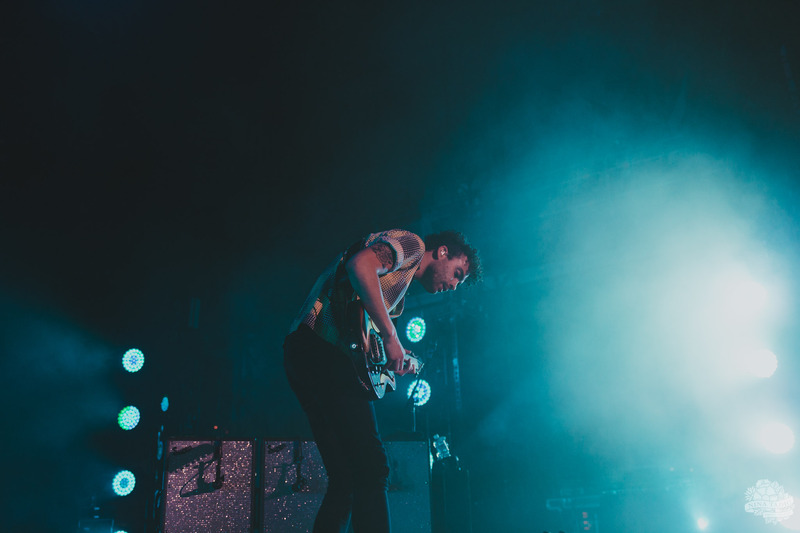 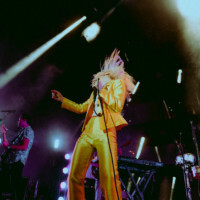 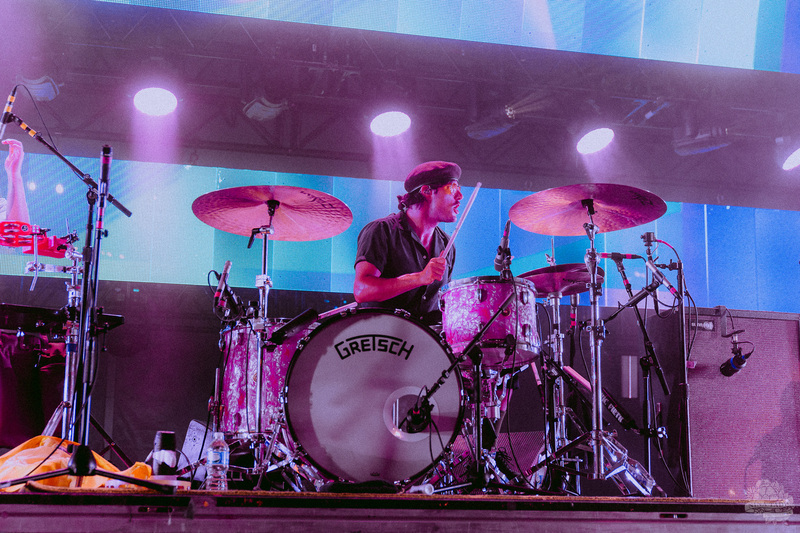 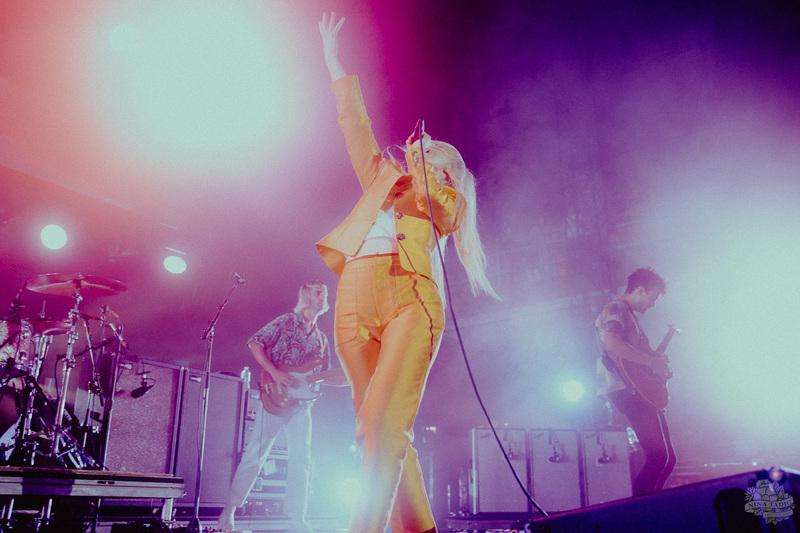 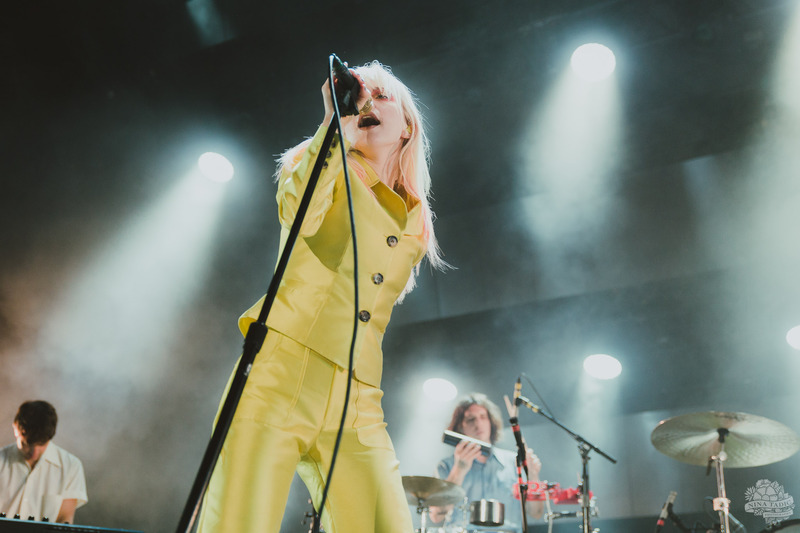 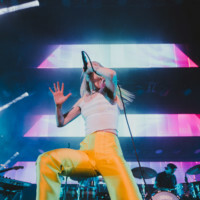 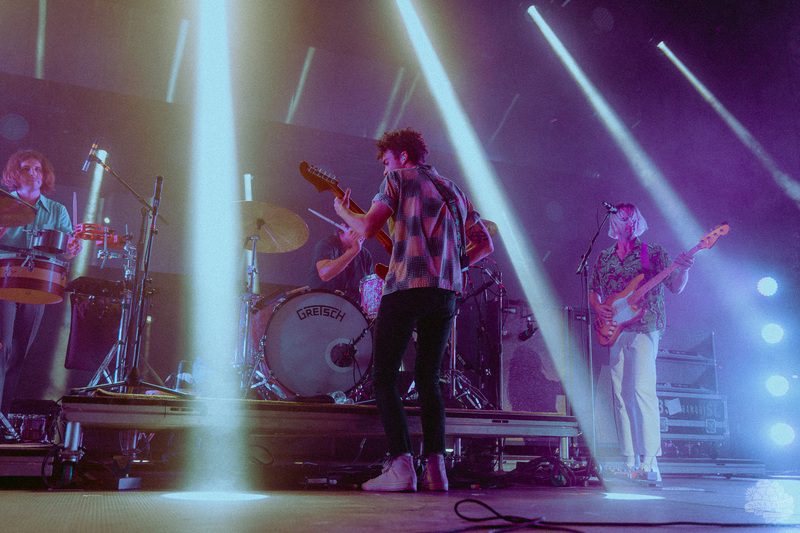 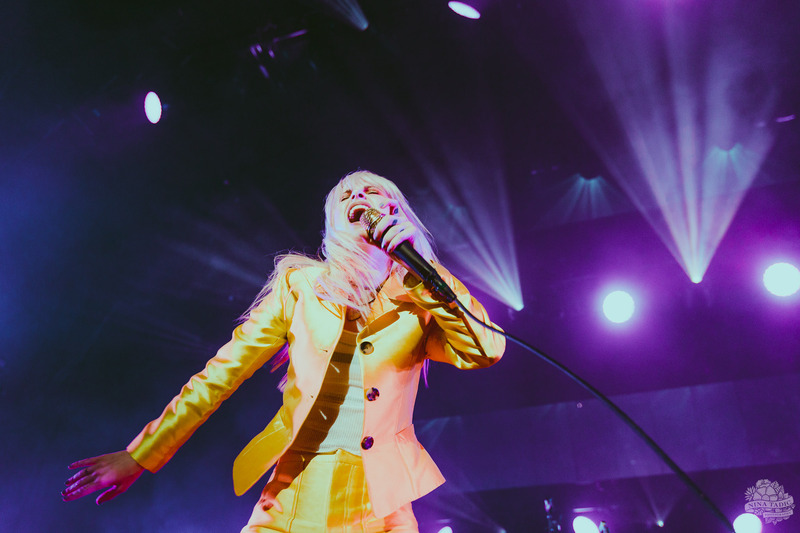 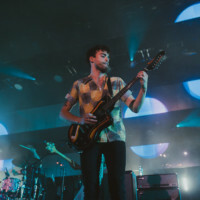 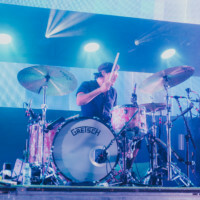 Vocalist Hayley Williams, guitarist Taylor York, and drummer Zac Farro, kicked off their set with glowing blue lights and “Grudges,” off of their most recent album, After Laughter. 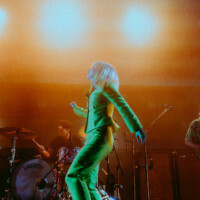 Williams’ energy was through the roof as she spun, danced, and did just about everything but fly for the majority of the band’s set. 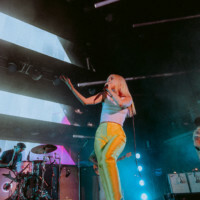 For every song off After Laughter, the stage was flooded with technicolor lights and special effects, including striped screens above the band doing wild purple, pink, and blue light shows. 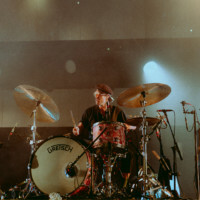 At one point in the set, Williams even brought out a bull-horn for an older song, going wild for the crowd. 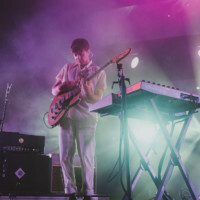 At about halfway through the band’s set, they stripped things down, their touring members left the stage, and the three proceeded to sit on pastel-colored boxes and perform some more gentle songs. 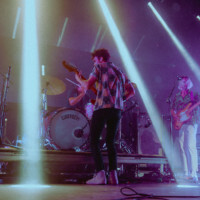 Starting with a vibey cover of Drake’s “Passionfruit,” the band invited fans to sit back and relax for a bit. 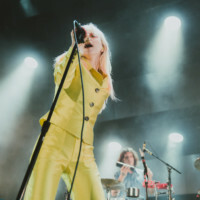 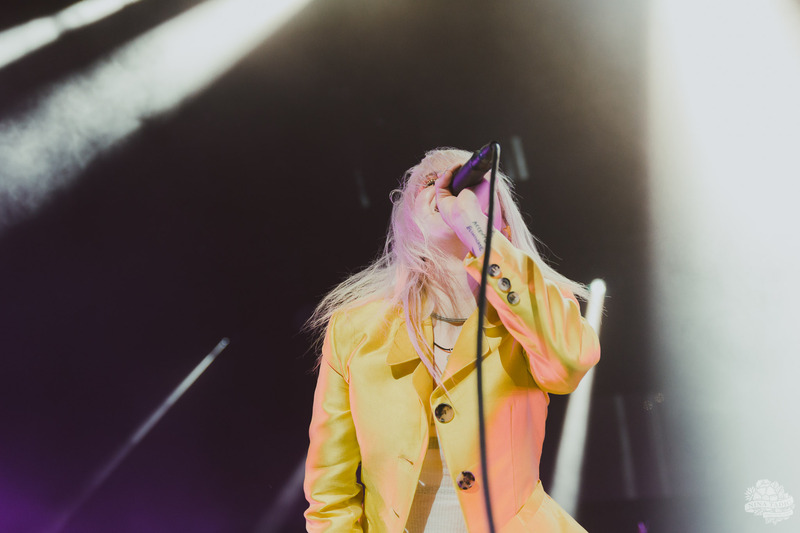 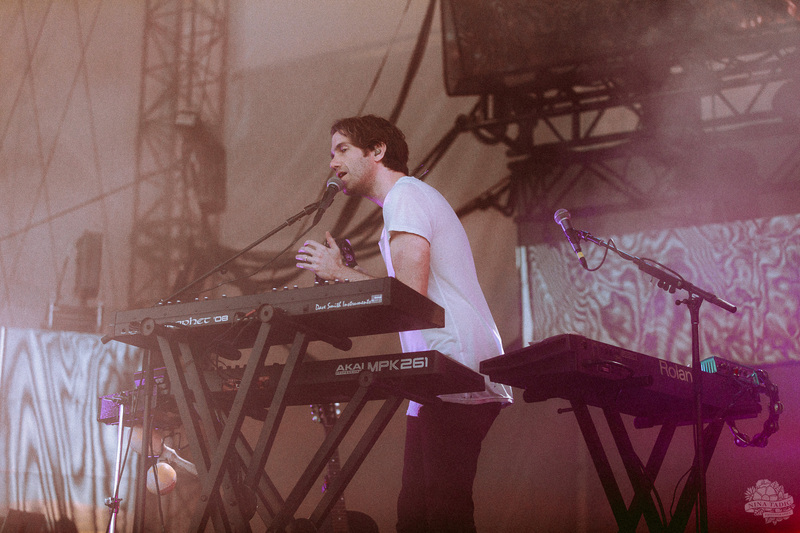 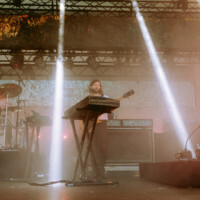 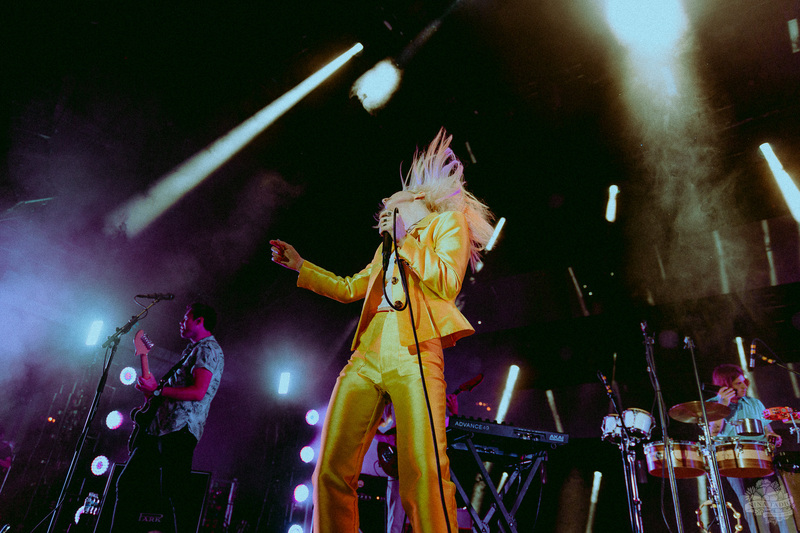 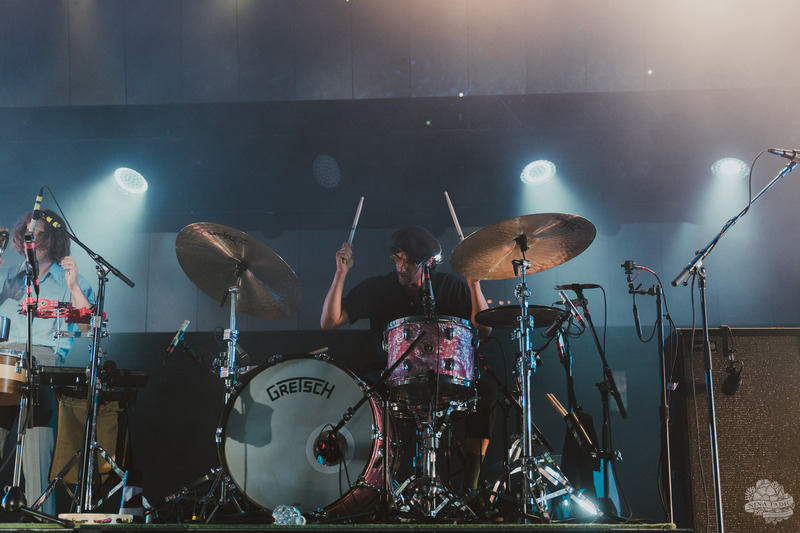 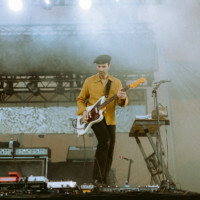 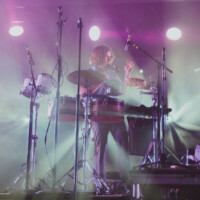 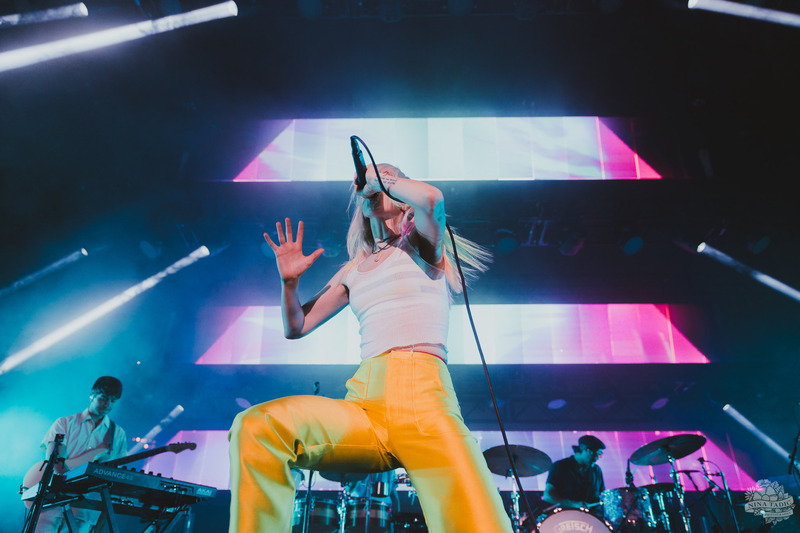 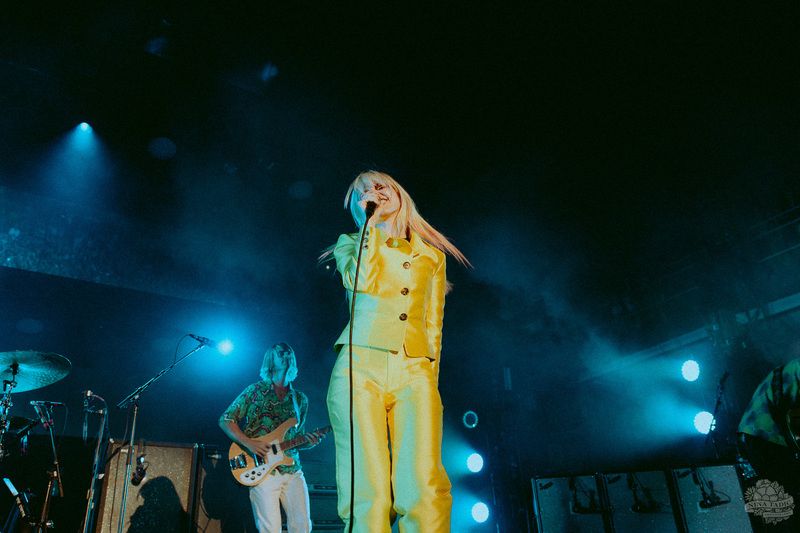 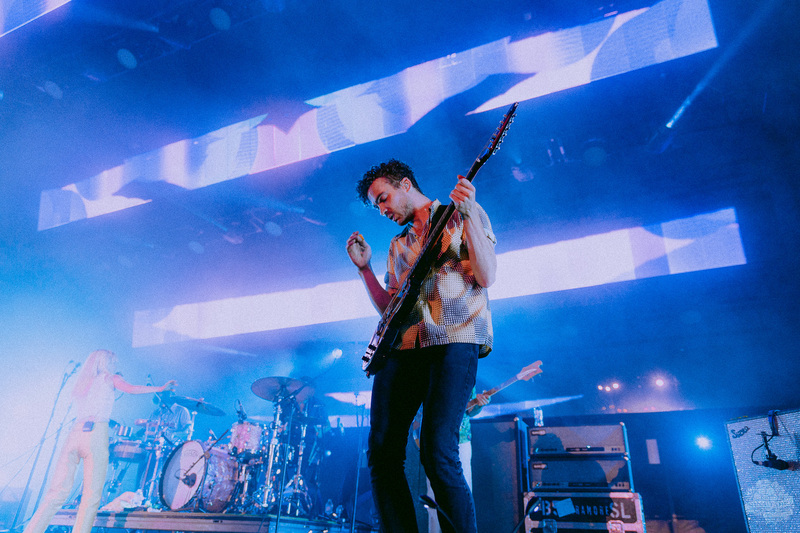 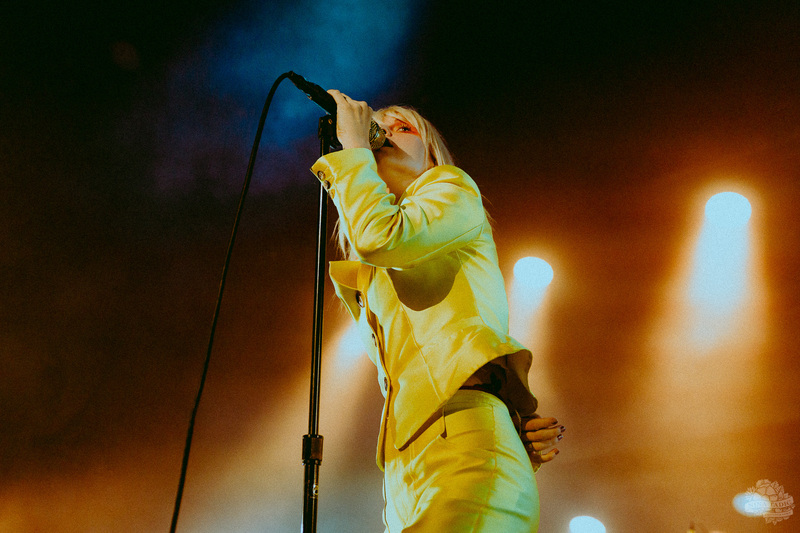 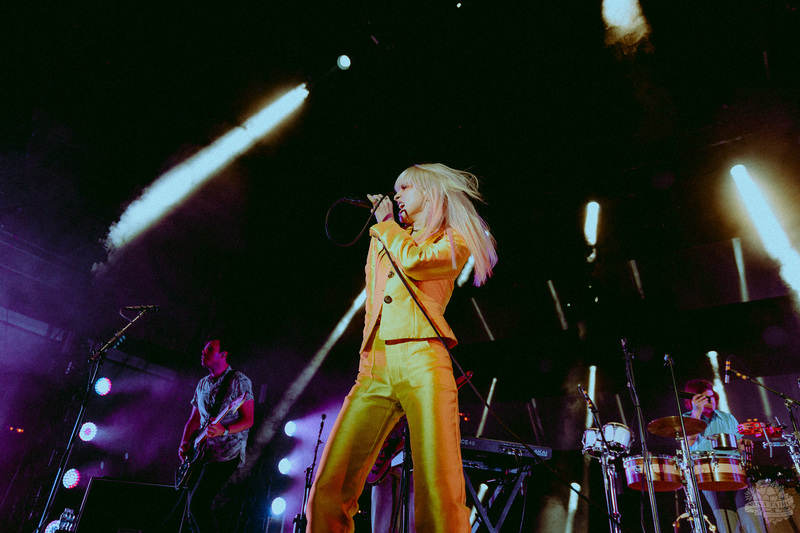 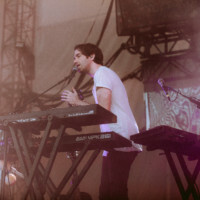 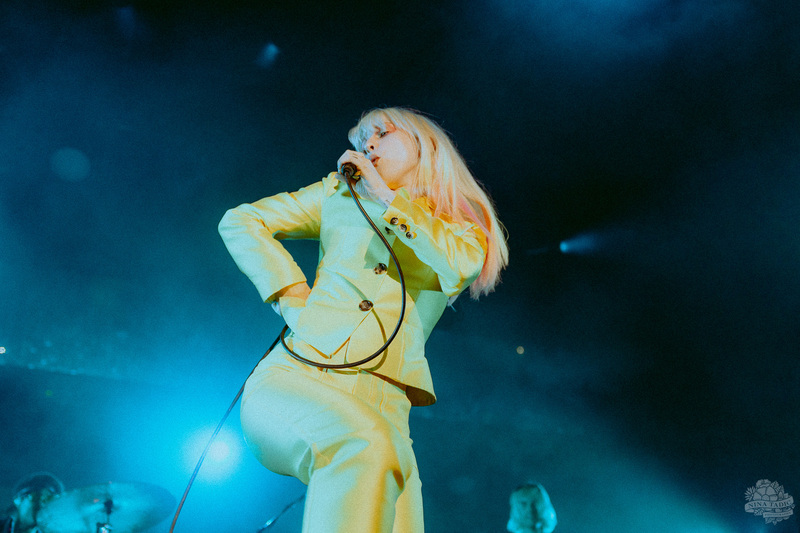 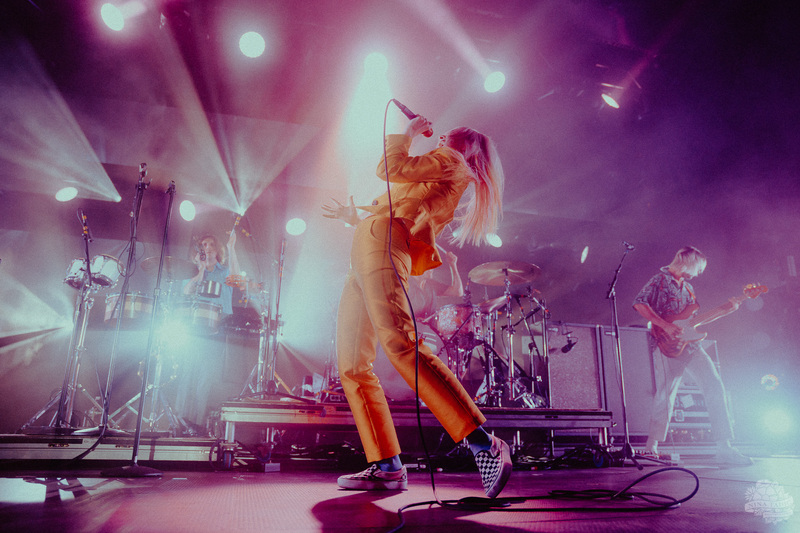 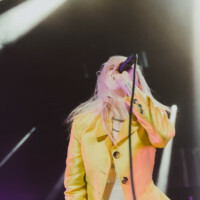 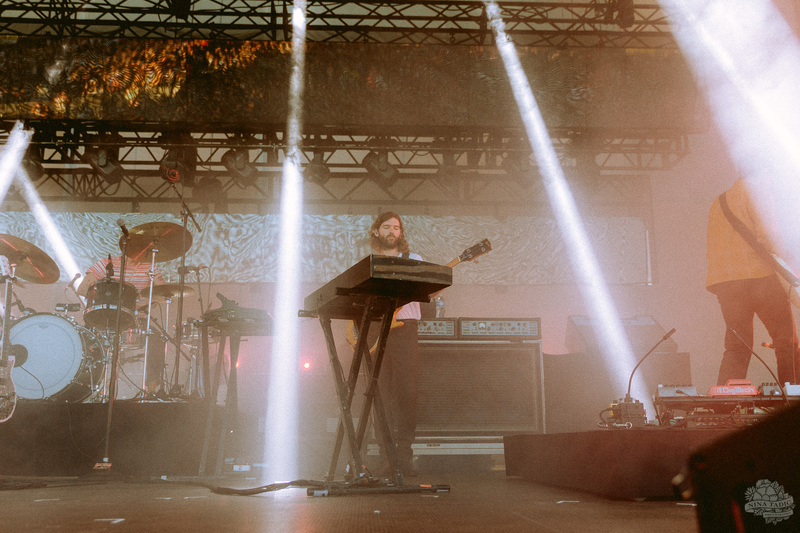 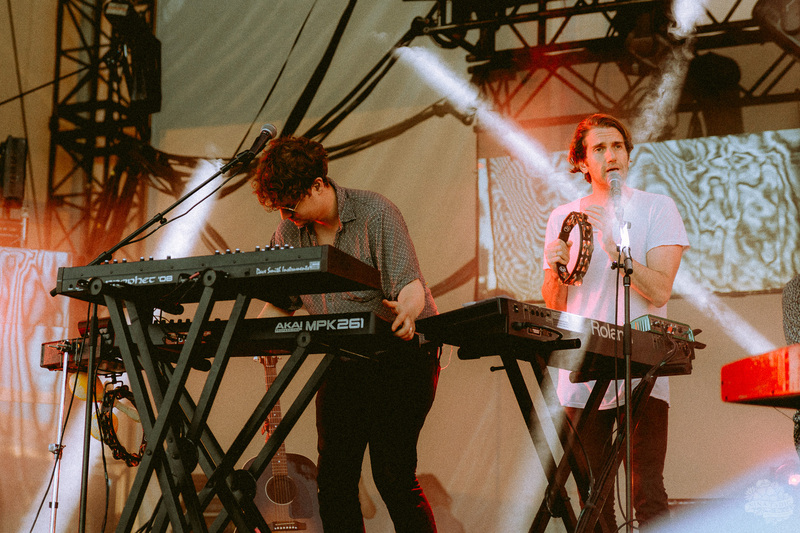 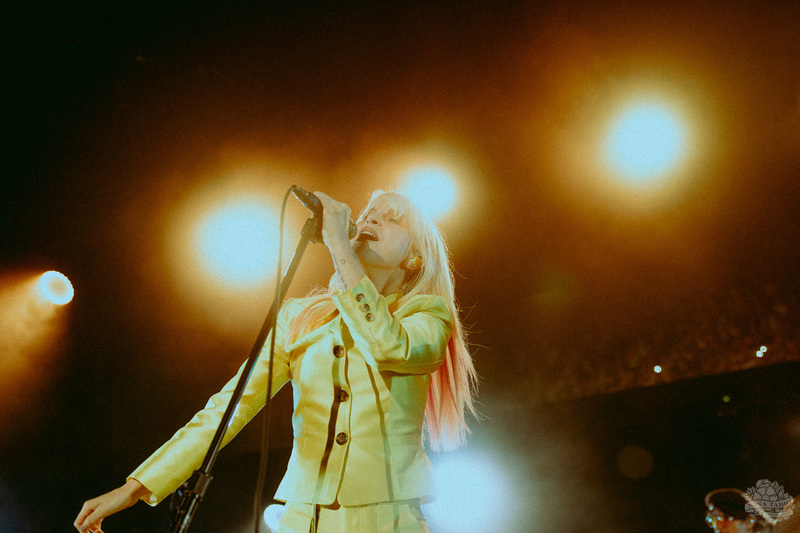 Following “Passionfruit,” Williams began reminiscing about the band has been together for years, and then mentioned their third album, Brand New Eyes. 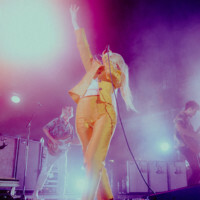 They then proceeded to introduce “Misguided Ghosts,” an older acoustic song, for which fans went wild. 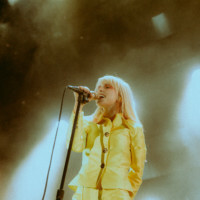 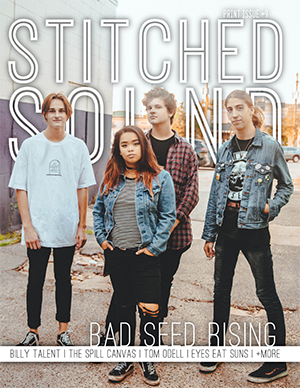 Following that, they finished the acoustic portion of their set with “26,” off of After Laughter, which left quite a few fans shedding tears. 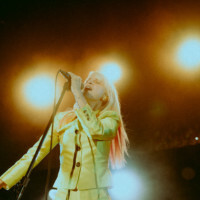 Williams then thanked the crowd so much for sharing these moments with the band and with one another, and then continued on to talk about how cool it is to see music evolve. 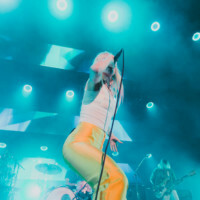 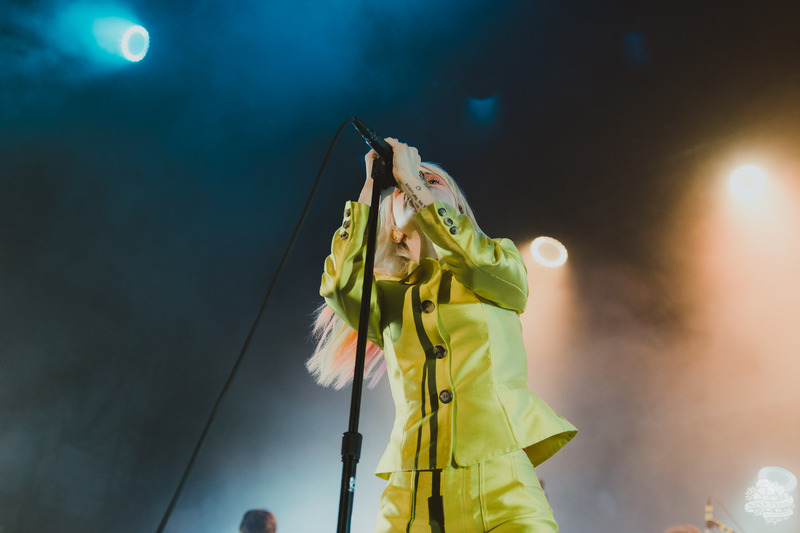 She discussed the fact that a lot of songs off After Laughter have really changed in meaning since the band has begun performing them live, and they’ve gotten a lot happier to perform live. 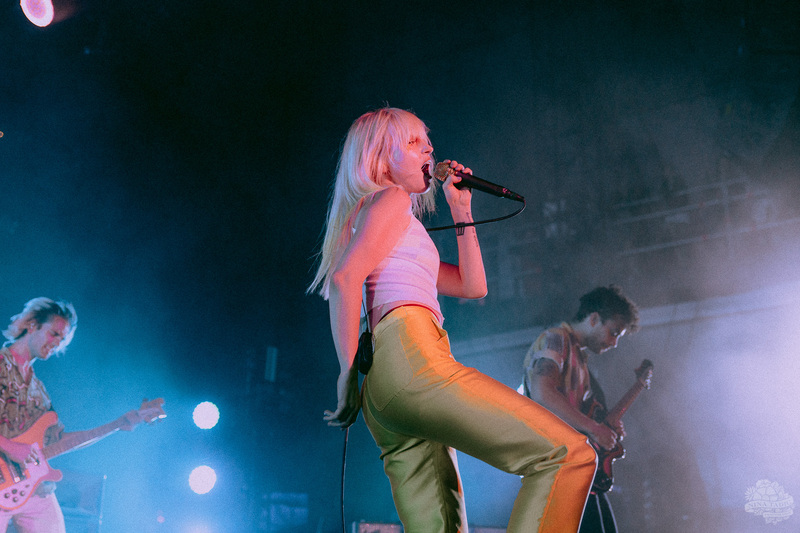 “[Music] is cool, and it’s cool what happens when you share it with people,” she said. The heartfelt moment truly spoke to what Paramore carries themselves as, which is a family. 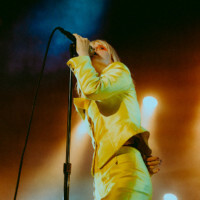 Following the acoustic intermission, Williams jumped back up onstage, and asked if any audience-members have ever cried and danced at the same time. 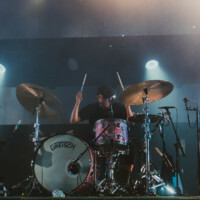 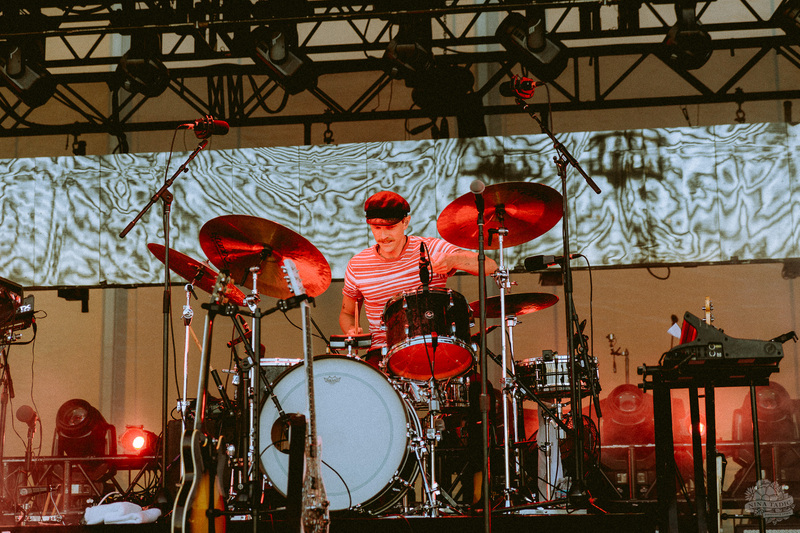 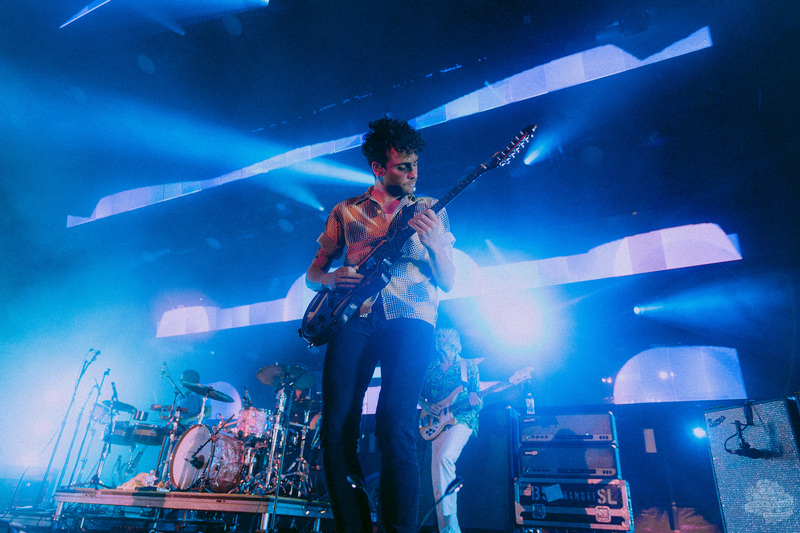 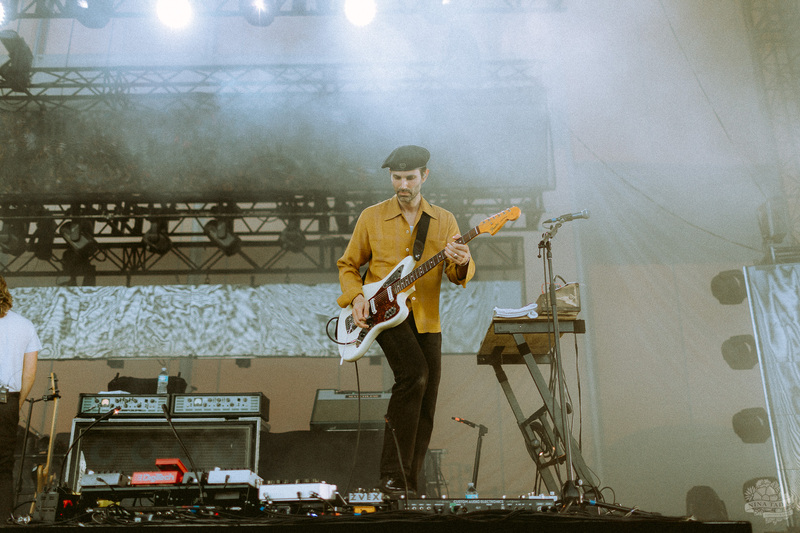 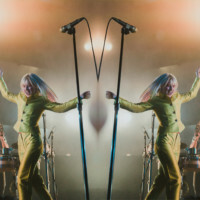 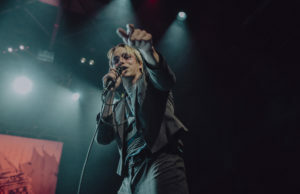 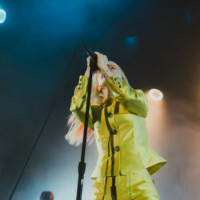 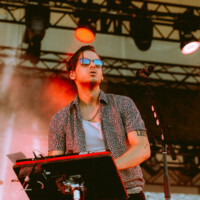 The band then sprung back to life (including the few touring members in addition to Williams, Farro, and York), and started their song “Caught In The Middle,” which is a poppy track that everyone was bouncing around for. 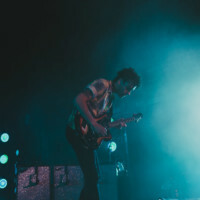 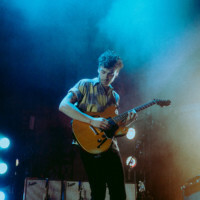 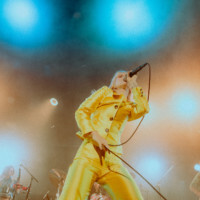 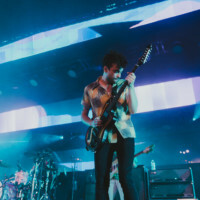 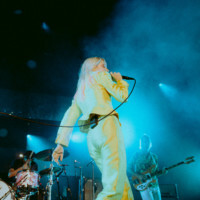 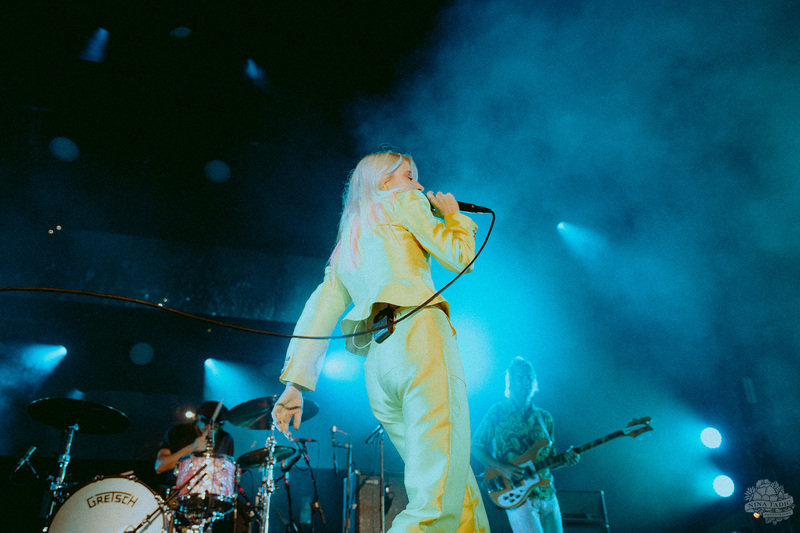 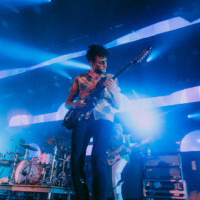 The band performed another bouncy track off of After Laughter, before switching to a more aggressive tone for “No Friend of Mine.” Because “No Friend of Mine” has more muffled, ominous vocals, the spotlight immediately went over to York, who shredded an incredible guitar solo for a solid minute or so. 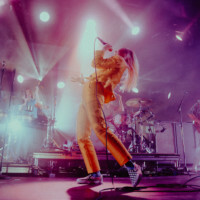 The punky, grungy sound of the band’s older albums shined through towards the beginning of their set, when they performed older tracks like “Ignorance” and “Crushcrushcrush,” but happened yet again, as they followed up “No Friend of Mine” with one of their most well-known tracks, “Misery Business,” and even brought a fan onstage to perform with them. 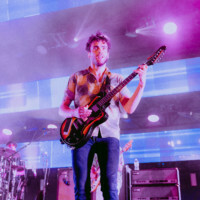 To tie up the set, the band performed “Ain’t It Fun,” off of their self-titled album, and then waved farewell to fans. 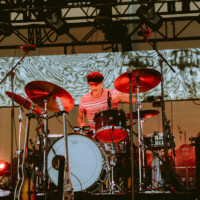 After the lights went dark for a minute or so, and the venue was roaring with chants of “One more song!” and “Par-a-more!” the band proceeded to come back out for a three song encore, including a cover of Farro’s other project Halfnoise’s song “All That Love Is,” which gave him a chance to be in the spotlight and run the show. 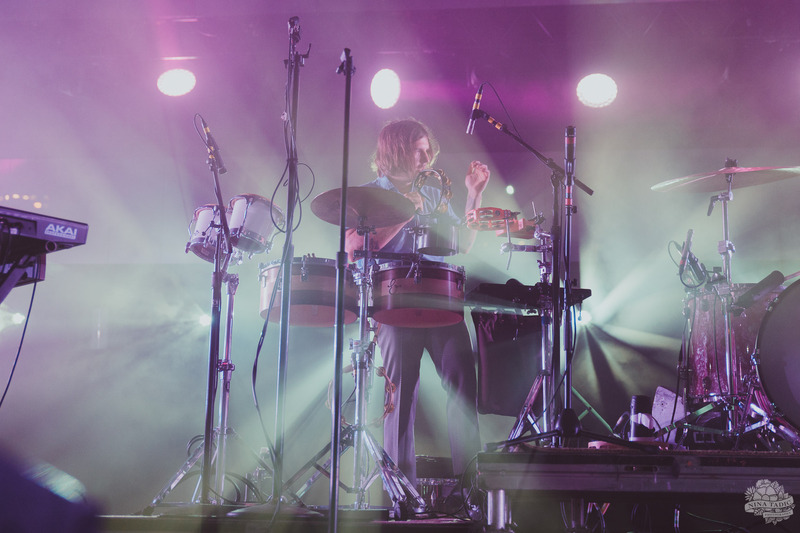 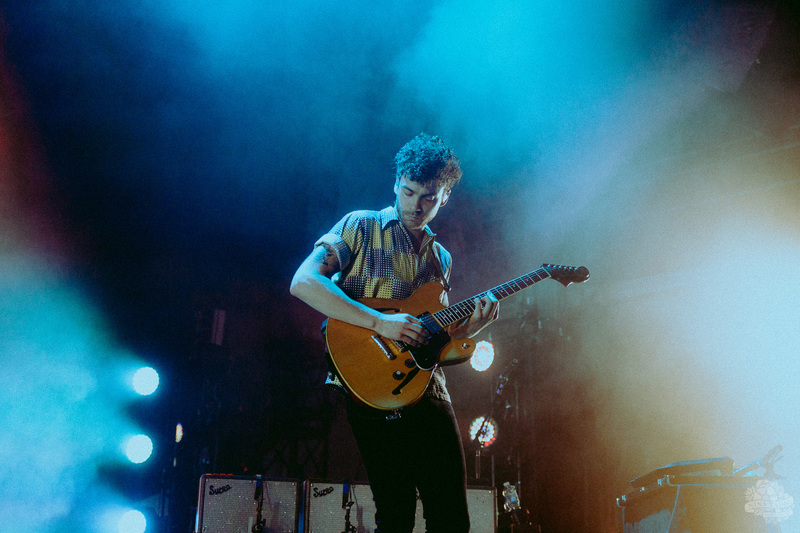 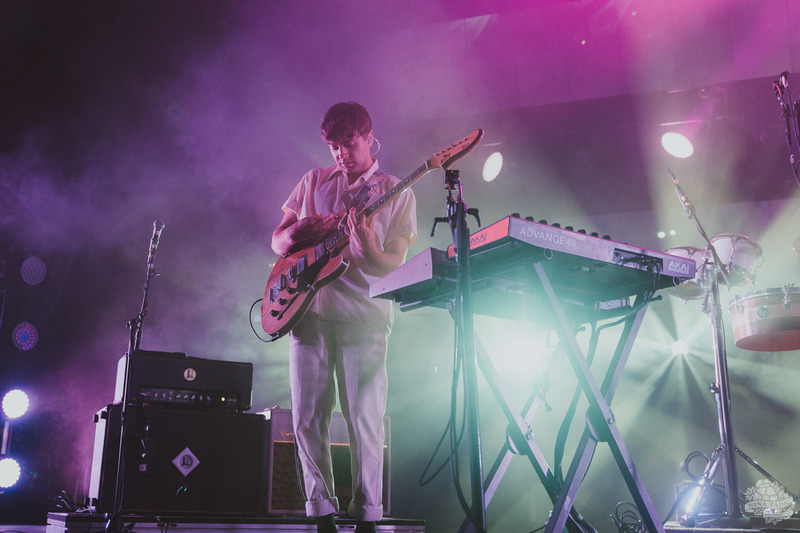 It was a change of pace, with Williams on the bongos, Farro doing vocals, and York still on guitar, and it was everything the crowd never realized they needed. 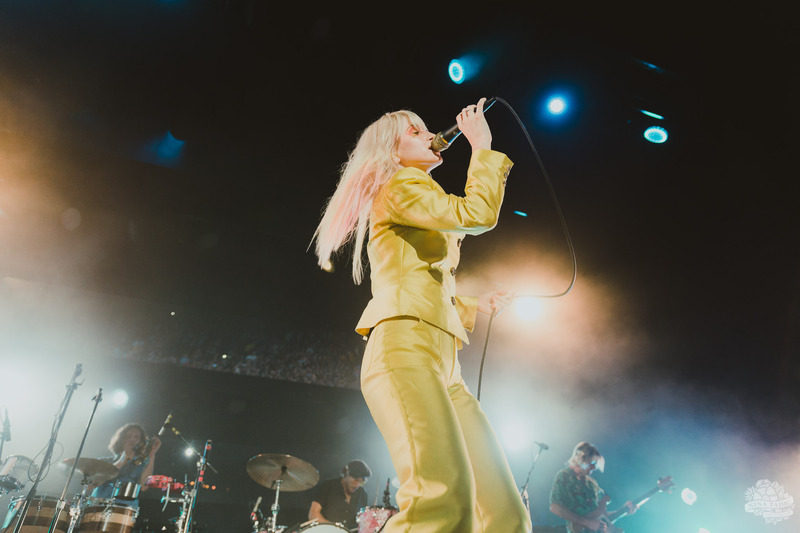 The band ended the night with “Hard Times,” and the crowd was jumping and moving and cheering the whole time, until the lights went down. 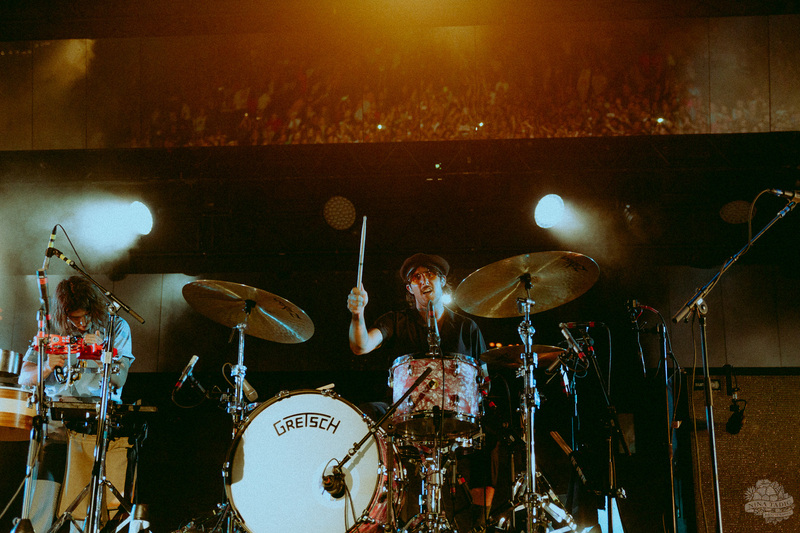 At the finish of the night, the show lights went down, the stadium lighting went up, and everyone was brought back from their adventure in Tour 5 world. 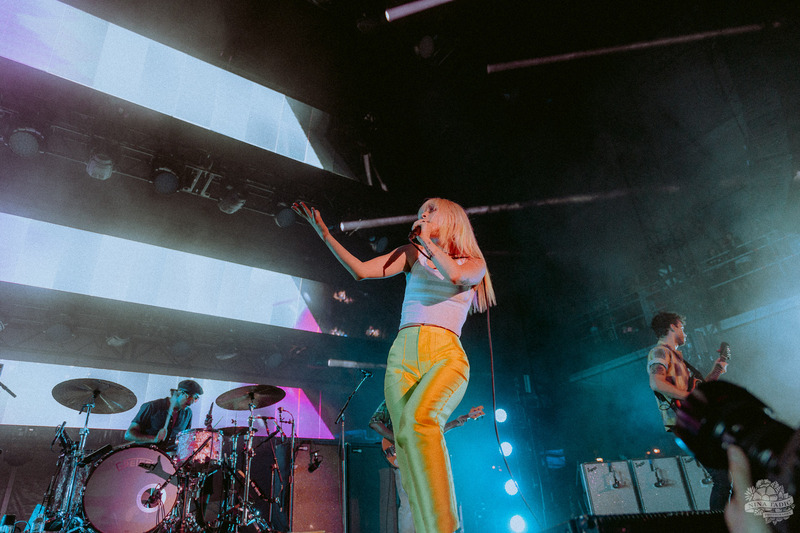 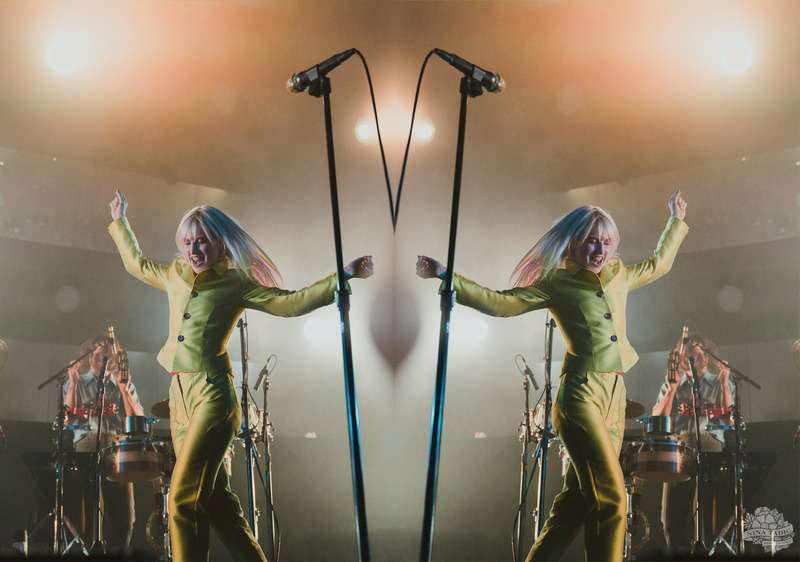 Floating on cloud nine, everyone parted and went their separate ways, but will surely remember Paramore’s Tour 5 for days, months, and even years to come. 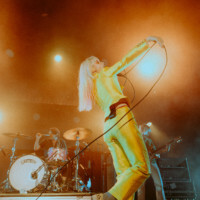 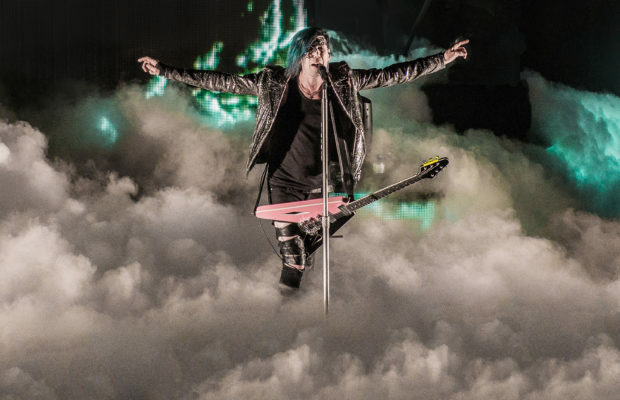 This tour is definitely their most theatrical yet, and without-a-doubt just as energetic as the band’s shows have always been.